An attack on civilians at a train station in China has left at least 30 dead and more than 100 injured. It is the worst single terror attack, believed to have been carried out by Muslim separatists, China has seen in recent history. The attack occurred at about 9:20 p.m. Beijing time, on Saturday 1st March, which saw at least ten attackers using long-bladed knives to stab and slash passengers. According to initial reports about twenty had been killed, though the death toll swiftly rose to 33, amongst them four assailants who were said to have been shot by armed police. State media said the attackers were Xinjiang militants, though there was no immediate claim of responsibility. 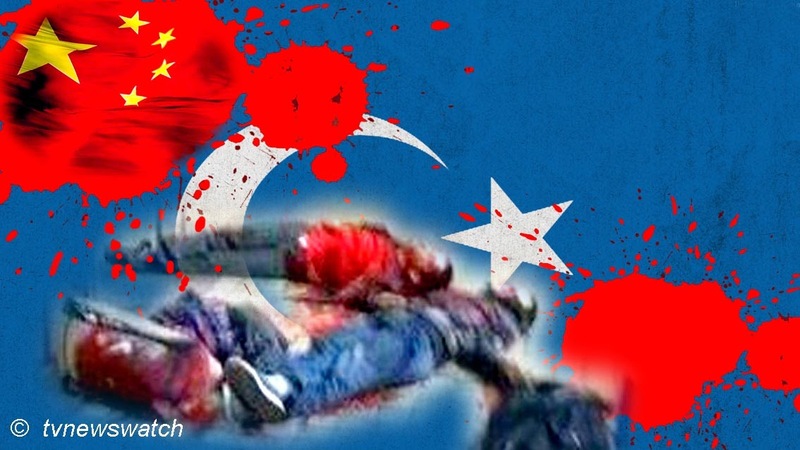 The attack is an escalation of attacks believed to have been perpetrated by the Turkestan Islamic Party, sometimes referred to or linked with the East Turkestan Islamic Movement. The group, which has claimed responsibility for several attacks in the past, want independence from China. Xinjiang has seen decades of tension with many people of Uyghur ethnicity having struggled to be an independent country. A group of Uyghur separatists claim that the region, which they refer to as East Turkestan, is not legally a part of China, but was invaded by the PRC in 1949 and has since been under Chinese occupation. The separatist movement is led by Turkic Islamist militant organizations, most notably the East Turkestan independence movement, against the national government in Beijing. The group have previously claimed responsibility for bomb attacks in Kunming in 2008 [tvnewswatch: Kunming hit by terror attack / tvnewswatch: Internet access blocked after Kunming attack / tvnewswatch: Islamic terrorism growing in China / tvnewswatch: Kunming bus bomber identified police say] and more recently an incident where a four wheel drive vehicle was deliberately driven into a crowd in Tiananmen Square in October last year [Wikipedia / BBC / SITE Intel Group]. Given the seriousness of last week’s attack at Kunming station, some Chinese media referred to it as China’s 9/11. While the scale of the attack was much smaller, it was nonetheless significant in that it showed a rise in Islamic inspired terrorism. The west has often itself been blamed by Chinese media for bringing about the 9/11 attacks through its foreign policy. Even amongst many Chinese there was a sense of excitement on seeing the Twin Towers being struck by planes and subsequently collapsing. There were reports of people cheering while watching footage of the collapsing towers and some even let off fireworks. Donnie Wang, a project manager from Chongqing, who was 16 at the time, told the state run Global Times of his recollections. He spoke of the reactions of parents and teachers at his school when hearing the news. “Their jaws were flapping all the time and the burst of excitement was quite clear,” he said. Of course there was a backdrop of resentment that had built over many years. Two years earlier, five American bombs had hit China’s embassy in Belgrade, killing three Chinese. And only months before the 9/11 attacks a US reconnaissance plane had collided with a Chinese fighter jet off the coast of Hainan, killing the Chinese pilot [See also: YouTube / Free Republic / SFGate]. A decade on, those who cheered the attack on America, in which more than 3,000 died, may well feel a sense of shame. Now China is feeling the wrath of Islamic extremists inspired by a similar ideology. There can be no excuse for such attacks, though there may be some who will feel China has fuelled the fire by its oppression of the Uyghur people. Following 9/11 the Chinese President Jiang Zemin said he was "shocked" and sent his condolences to President Bush, while the Foreign Ministry said China "opposed all manner" of terrorism. And despite some Chinese having celebrated of the attacks, tens of thousands of people visited the US Embassy in Beijing, leaving flowers, cards, funeral wreaths and hand-written notes of condolence on the pavement. They like many saw, that whatever the policy of the US government, the victims were innocent members of the public. And so too of the terror attacks in Kunming and elsewhere. While the anger of the Xinjiang separatists might be directed towards the Chinese government, the victims have been ordinary Chinese people going about their everyday business. Families have been torn apart, some left childless with several children reportedly amongst the victims. Others will be maimed for life, and few will fully understand the reason behind the attacks given how strictly controlled the media is in China. Indeed few will have any real knowledge about Xinjiang and the internal struggles that continue. In fact there will be many in China who may have missed the news of Kunming’s terror attack entirely. Whilst there was some coverage in the regional press with the Kunming Times carrying the story on its front page, for papers outside the region there was scant mention, if any, of the incident. The Hong Kong based South China Morning Post reported that there was no mention of the attack in Beijing News, Beijing Times or Beijing Youth Daily, and the CCTV evening news did not report the attack. Where news stations did mention the attack it was only briefly referred to. Photos of the attack, many extremely graphic and taken by members of the public, were also swiftly deleted by censors from microblogs and social media. English language media did report more extensively with the Global Times saying "a nationwide outrage has been stirred... [by] China's '9-11'" Hard to see how a whole nation was outraged, given many may well be oblivious to the attack. While the media downplayed the attack, there were nonetheless statements issued by the CPC general secretary Xi Jinping and Premier Li Keqiang who assigned Meng Jianzhu, Secretary of the Central Politics and Law Commission to oversee the investigation. Meanwhile Lü Xinhua, spokesman for the second session of the National Committee of the Chinese People's Political Consultative Conference denounced the attack as a "serious violent terrorist attack [perpetrated by] terrorist elements from Xinjiang." Abroad, the attack did make the news, though was much obscured by the growing tensions in the Ukraine. Surprisingly, there were few public messages of condolence. The UN Secretary-General Ban Ki-moon strongly condemned the attack and expressed condolences to the bereaved families. Dilxat Rexit, a spokesman for the World Uighur Congress also condemned the attacks, saying he denounced "any form of violence", and urged the Chinese government to "ease systematic repression". The French also released a statement expressing “solidarity” with the Chinese people, but that was about the extent of a world wide response. Indeed, there was almost stony silence from the US, most European countries and others. Perhaps that says volumes for how some see the incident; a symptom and reaction to China’s brutal domestic policy.